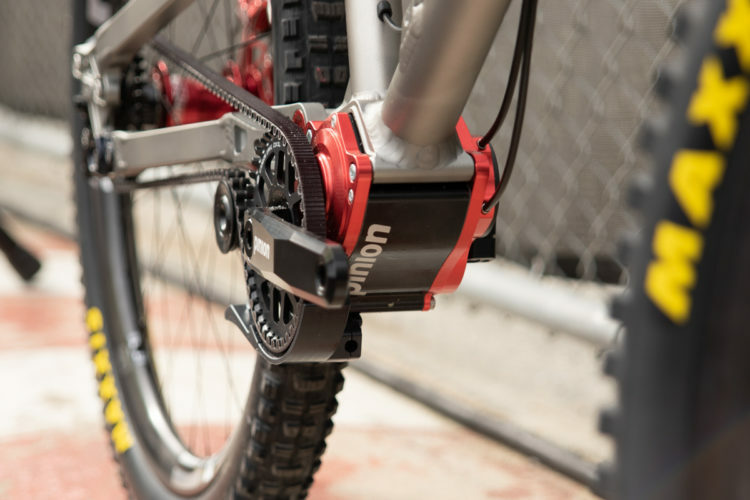 One cool thing that has taken the mountain bike world by storm is the use of video cameras on the trail. 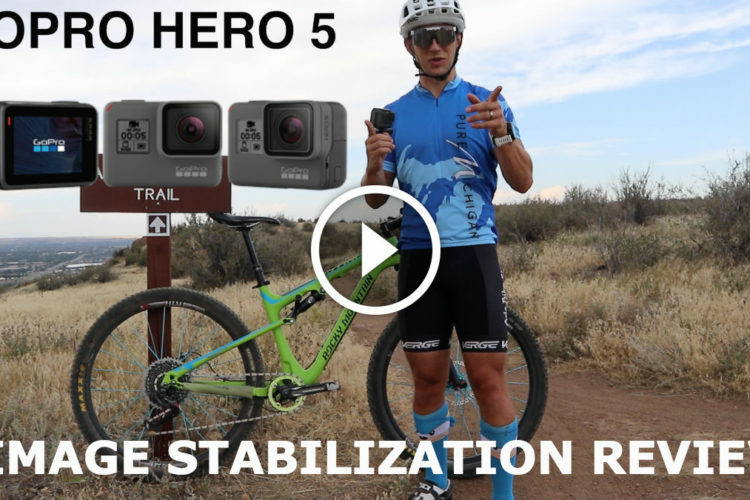 GoPro, one of the original action sports helmet camera companies, has really stepped up once again with the new GoPro HD Helmet HERO. At $299 MSRP you’re looking at a good value with all the features and accessories you need included in the box. Here’s what you get: the video camera (5 megapixel) with 1100mAh Li-Ion battery, protective case with a fully enclosed waterproof backing and a vented back plate (perfect for MTB), 6 mounts (2 flat adhesive, 2 curved adhesive, one headlamp style and one for a vented helmet), a pivot hinge to angle the Hero just right off your helmet or bike, 1 component cable (HDTV), 1 composite video cable + audio, and a USB cable. Phew! 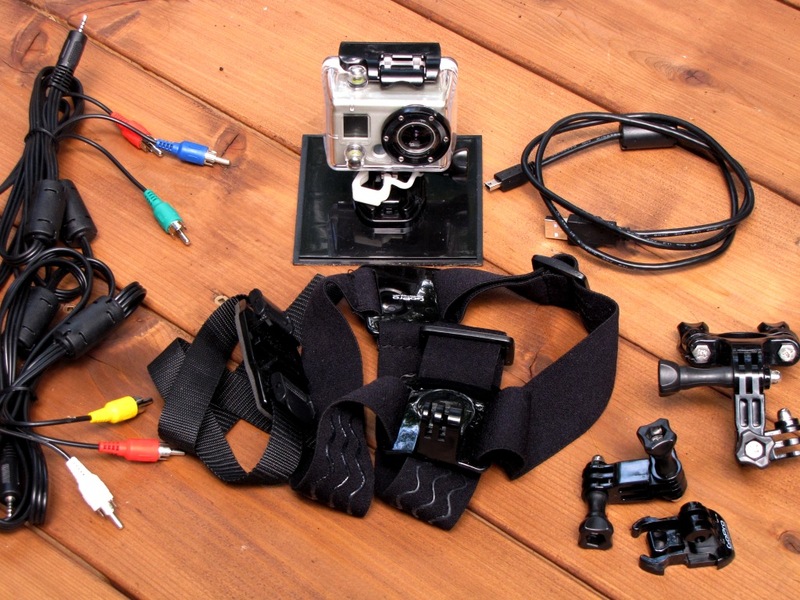 Before you start filming you’ll need to prep the camera and get a few items in order. First off, get yourself the highest class SDHC card you can find. This is important and isn’t stressed enough in the manual. The memory card class rating will directly affect the performance of your camera. GoPro recommends at least Class 4 media but I have found that Class 8 works the best; the GoPro HD accepts memory cards up to 32GB. After you get a memory card, install the battery and charge the camera fully before using. In my tests a full charge took 4 hours to complete via the USB connection. It’s a good thing the battery takes 4 hours to charge – that was about how much time I needed to get comfortable with the controls and menus on the GoPro. 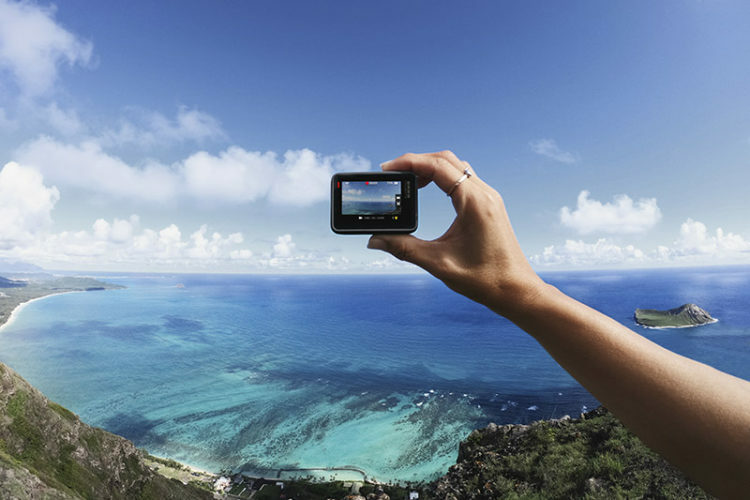 The GoPro utilizes a two button control system but depending on how long you press them, buttons will either change from one mode to the next or change up a setting. You really need to read the owners manual that is supplied but don’t fret if you lose it – the manual is available online as well. I recommend playing with the menus and settings to find which of the five video and two exposure settings work best. 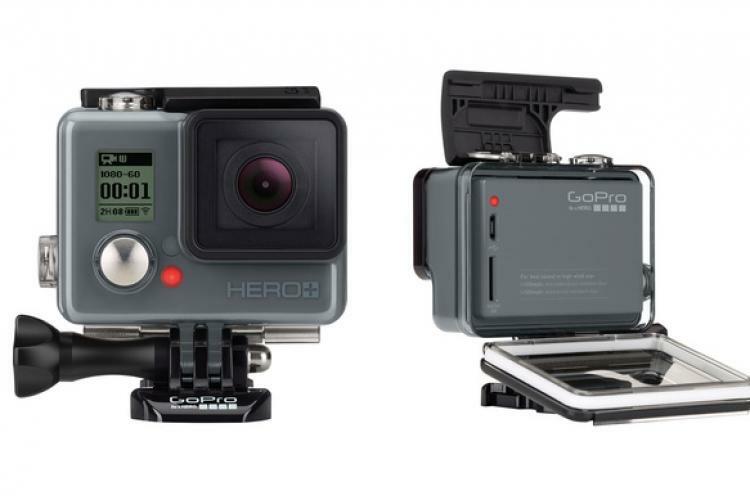 Remember the higher the resolution or frames per second (FPS), the quicker the GoPro eats up memory. As an example, at maximum resolution and 30 FPS, an 8GB card will give you less than an hour of recording time. Once you get the hang of using the GoPro you get decent video and nice 5MP photos. In video mode there are 5 format choices: WVGA @ 60FPS (low res, fast action), 720p @ 30FPS (medium res, regular speed), 720p @ 60FPS (medium res, enhanced for slow motion), 960p @ 30FPS (high res, regular speed), and finally the highest resolution of 1080p @ 30FPS (full HD, 127-degree field of vision). I opted to do most of my shooting in standard 960p mode and tried 720p @ 30FPS for longer sessions. In the settings menu (something I didn’t use often) you can also choose how the camera shoots (single shot, triple shot, shot every X seconds, and timer). This is great if you want to snap pics of the trail automatically without having to stop periodically to click the camera. On the trails I found the best way to avoid Blare Witch style footage is to mount the camera on the helmet. Initially I tried clamping the handlebar mount to the seat post and frame but found the playback a little too jerky. The two control buttons are easy enough to get use with gloves on, but remembering which button to press is another story when the camera is on top of your head. It also takes some trial and error to set the camera at the correct angle when shooting at 720p but at 960p it’s not a real issue. When traveling fast through dark brush and into bright clearings I found the GoPro HD takes a second or two to adjust to the lighting conditions so I enabled spot metering and that really helped. I also changed over to the vented backing and found that it improved sound quality tremendously. The GoPro HD recorded what I was saying along with the sounds of the trail without a ton of wind noise. After crashing more than once I’m pleased to say the camera doesn’t show any signs of damage. Now the GoPro does not come with video editing software so this is where it’s up to you to choose what you want to use. With the proper software you can edit in slow motion, clear up shakiness, change exposure levels, and much more. Basic video software like Windows Live Movie Maker or Final Cut will allow you to clip and arrange the video plus add titles, photos, and music. Do yourself a favor though and only get as much software as you need. You don’t have to spend your hard-earned money on features that you will never use plus expensive programs add to the complexity of video editing. 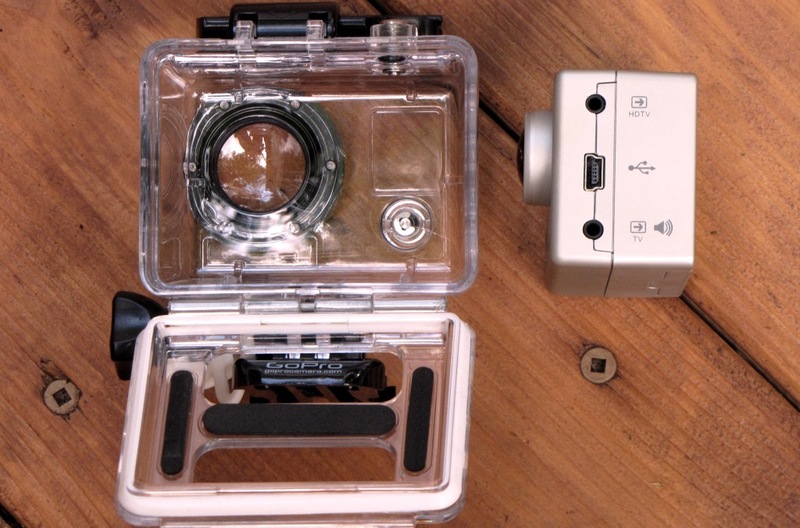 I would have to say for a go-anywhere adventure video camera that includes everything you need, the GoPro HD is the one to buy. 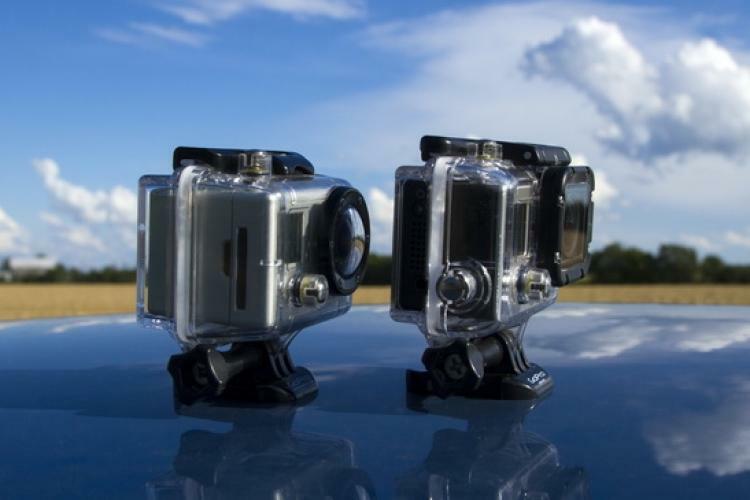 The GoPro website also has additional accessories to make that perfect shot possible! 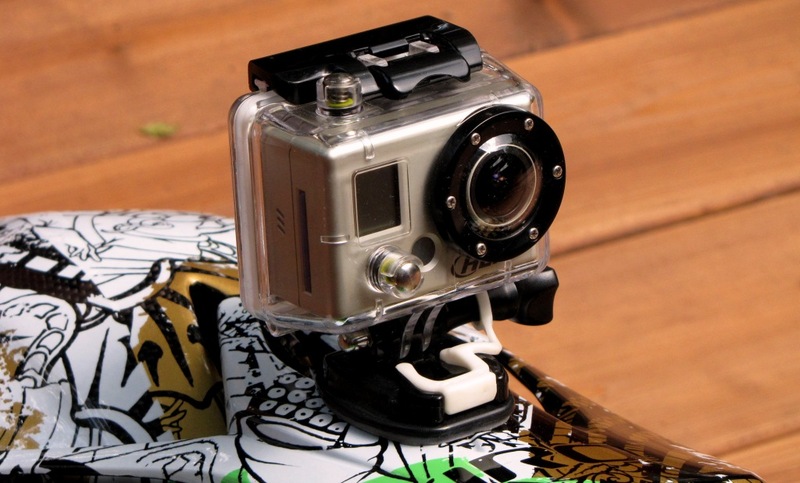 I would like to thanks the folks at GoPro for providing the HD Helmet HERO for a review. This camera is awesome! Here’s a link to a video that was made with just the GoPro HD Hero. It’s pretty sick, you will get to see most of the mounts in action plus some custom made mounts too. http://vimeo.com/11279373 – there’s a bunch of videos out there but after seeing this one I made the purchase and I coudn’t be happier! Yes it really does shoot that good! Here’s a link to my videos shot with the HD Hero – http://vimeo.com/user3704921 – I would recommend using a dual core or more computer with lot’s of memory if you plan on making HD videos and DVD’s (you can get 1T hardrives for under $100 bucks now) – Did I say this camera was AWESOME? I did! 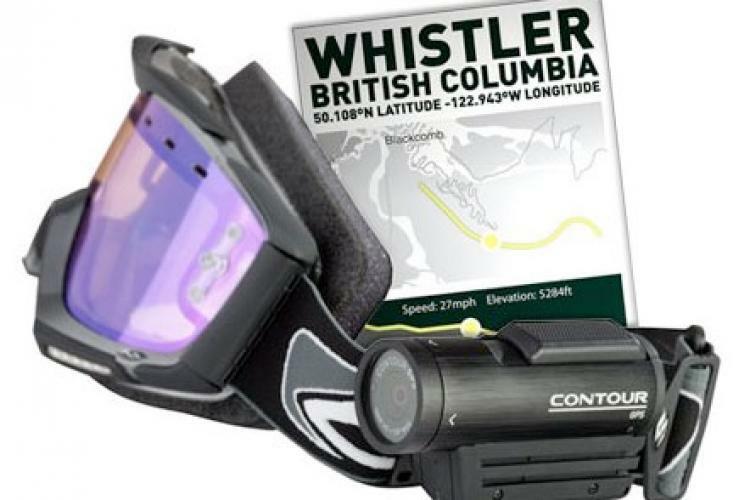 It’s waterproof down to 180ft so if you feel like jumping in a river or lake and taking a swim you can take this camera with you (you must have the waterproof back on of course!) 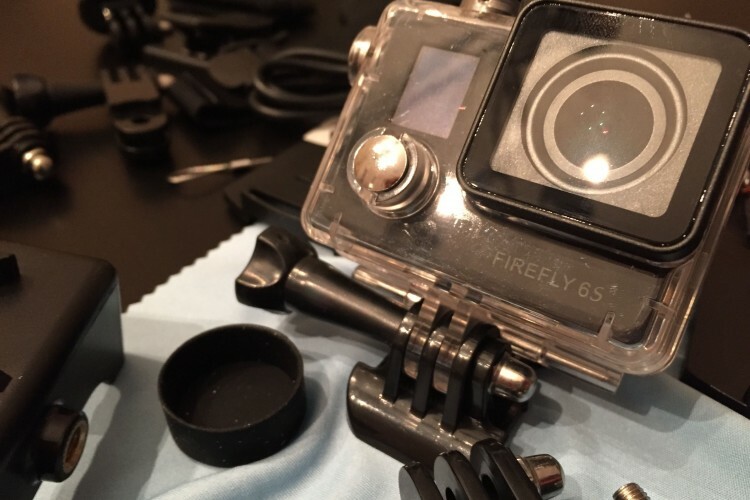 granted the camera’s lens wasn’t designed to shoot underwater so the video quality isn’t the best but it’s not all that bad and GoPro didn’t intend to make this camera a underwater camera but I heard they were maybe thinking about making a underwater lens kit for it. 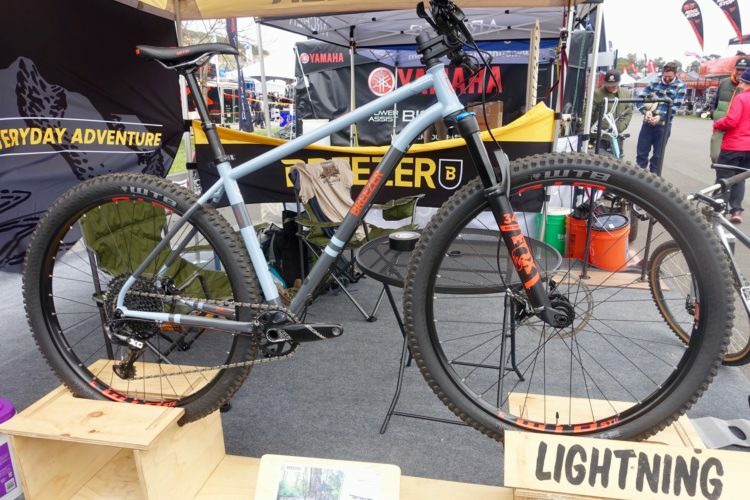 Oh yeah sorry this is a Mtb. 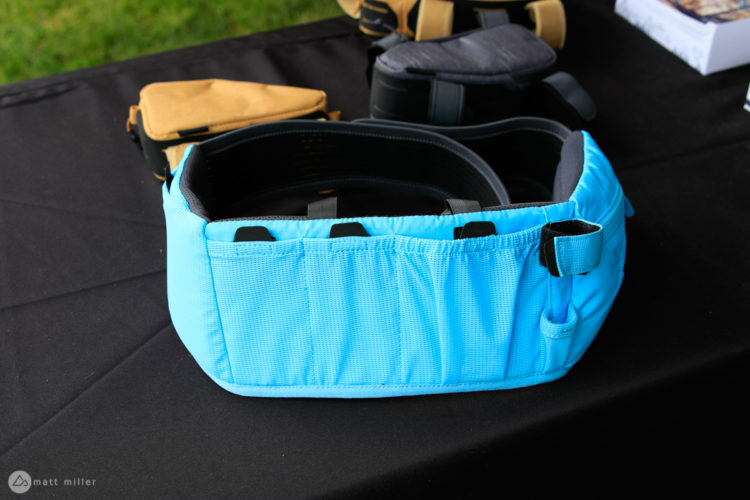 site – so if your riding and you get caught in a rain storm and you have the waterproof back on then no worries it’s waterproof! My other recommendation is just to keep the waterproof back on at all times when riding – it’s helps keep dust, dirt and rocks out especially if you take a spill. There’s my two cents! oh yeah THIS CAMERA IS AWESOME! Great review. Nice pics and vid as well.